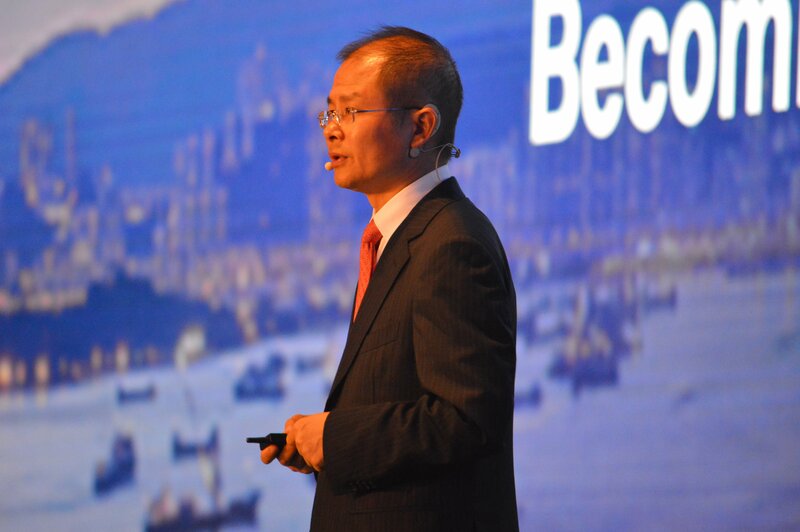 In his opening keynote at the company’s Connect event in Shanghai, rotating CEO of the moment, Eric Xu, introduced Huawei’s vision for artificial intelligence and outlined the barriers to its development. The planet, he said, is on the verge of becoming "a fully connected, artificially intelligent world." Most relevant to our readers is the Ascend 910 AI chip, a high-powered processor optimized for cloud deployments, which Xu said could offer up to 256 teraflops of cluster capacity in a large-scale distributed system. He added that the Ascend 910 could potentially deliver the world’s highest ever power density in a single 7nm chip. The 1,024 chip system will be available as part of Huawei's public cloud from the second quarter of next year. Another new product is the Ascend 310, an AI SoC for low-power computing, designed for edge applications. For systems with a maximum power budget of 8W, the 12nm processor, Xu said, will offer "the greatest computing power for edge computing." The Lite, Tiny and Nano chips will be used in IoT and consumer devices, but few details on these were available; Xu promised that the exact specifications will be announced next year. The full AI stack is based on Huawei's unified ‘Da Vinci’ architecture and includes an automated development system, CANN (Computer Architecture for Neural Networks), Mindspore AI framework, and ModelArts, a one-stop, machine learning Platform-as-a-Service for developers. Huawei also teased a series of products based on the 310 range, including acceleration modules, acceleration cards, an 'edge station' and mobile data centers, as well as a series of cloud products based on both the 310 and 910 architectures, promising further announcements tomorrow. Xu dismissed claims that the company would be supplying the chips to Microsoft as "fabrication by the media" – “because the chips are not for sale,” he said. Individual chips simply won’t be sold to third parties.